Clem, shrugging off her old swim team persona, exploring her first sexual relationship, and trying to keep her annoying twin, Iris, at arm’s length. Ady, grappling with a chaotic family, and wondering who her real friends are, she’s not the confident Alister she appears to be. When St Hilda’s establishes a Year 10 Wellness Program in response to the era of cyberbullying, the three girls are thrown together and an unlikely friendship is sparked. One thing they have in common, each is targeted by PSST, a site devoted to gossip and slander that must have a source within St Hilda’s. The private boarding school of Saint Hilda's promotes excellence in academic pursuits so when a website begins to engage in targeted student abuse, the prestigious school begins a Wellness initiative to promote well being and self reflection. The Private School Secrets Tracker website engages in defamation to humiliates female students, sharing personal information and encouraging concealed users to engage in abuse. Young women defined by their bodies, sexuality and social standing. The improbable companionship between Kate, Clementine and Adelaide is wonderful. Kate is an astute and enthusiastic music student and although wistful, Kate relies upon her scholarship to attend school. Adelaide is an extrovert who is often callous and judgemental, enduring her father's addiction and dissolution of marriage while exploring a bisexual relationship. Clementine is a former athlete rediscovering her personal identity and navigating her first sexual relationship. Her relationship with sister Iris has surpassed the boundaries of sibling rivalry and often socially isolated one another. The Private School Secrets Tracker degrades female adolescents and the societal and psychological and ramifications are disquieting. I enjoyed the discussion of the toxicity of online communities. The website was incredibly confronting and reminiscent of the online abuse women on social media experience consistently. 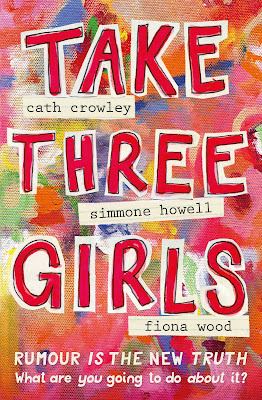 Take Three Girls reinforces the significance of female solidarity and empowerment, encouraged by the Wellness initiative as part of the school curriculum in response to the toxic, damaging website. I imagine the girl friendly world. Streets at night full of girls and women, god, it would be so lovely. Walking anywhere we want, wearing anything we want, staying out late, shouting, singing, drinking. Never worrying about attracting unwanted attention from dickheads. All the taxis and Ubers driven by women, so you don't have to sit there holding your phone, ready to instant dial for help if they take a wrong turn on the way home. 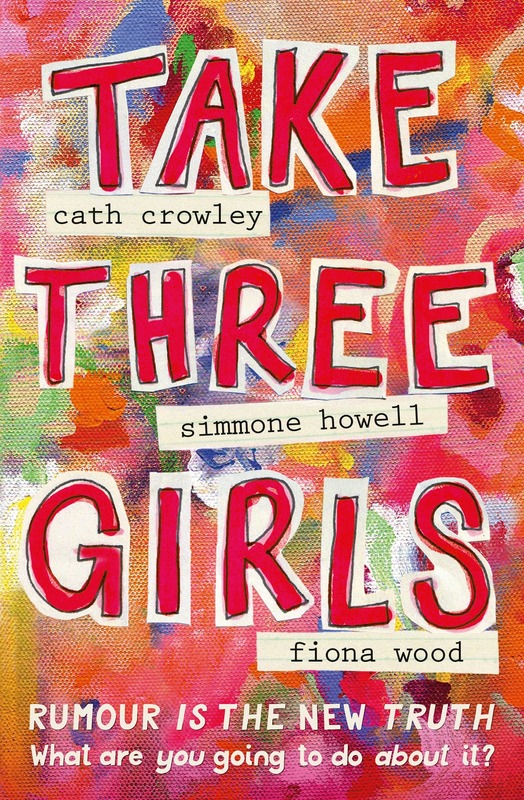 Take Three Girls is a journey of discovery, identity and acceptance. I enjoyed the journal aspects throughout the storyline, each narrative examining how rumour and innuendo influences our mental wellness, confidence and self esteem. Beautifully written, significant and empowering. Imagine slipping out for a full moon midnight walk just because you could. We'd start to swagger, we'd own the streets, own the night. It was wonderful Sarah. I loved that the focus was on friendship and female empowerment rather than just revenge for that abhorrent website. This sounds like such an empowering read, and it sounds like a book I'd enjoy. I feel like online bullying is such a prevalent problem in today's society, and I'm interested to see how the author tackles the subject. Great review! The three narratives blended seamlessly Amanda and I really enjoyed seeing how each girl overcame the rumours and innuendo as well. Such a wonderfully, empowering read for teens who have faced abuse and bullying. Damn, those quotes. Certainly puts things into perspective doesn't it? I love it when books tackle the toxicity (& some of those that deal with the positivity) that can come from online experiences and social media. We definitely need more books like this. Own the night would make a brilliant tattoo. We certainly do Verushka. Despite the adversity the girls faced, they were able to create a support group and empowered one another. It was wonderful. very cool, a totally opposite to what I read haha I see what you did there! Being a boarding school, the parents were involved with their education but it's not something they discussed at length. There was tension between parents and students over their education and especially Adelaide, who wasn't a boarder and who's parents were experiencing problems. Thanks Haniya. We need more books that explore the toxicity and positivity of online friendships. Considering so many of us live our lives online through social media and in our case, blogging, you would think young adult in particular would explore online friendships more so. I love those quotes you chose to share. Very powerful. It's such a wonderful read Karen, very empowering with a strong emphasis on friendship. This books sounds so wonderful and I am really looking forward to reading it. I love the messages that are coming across in books this and Summer Skin. Fingers crossed they just keep coming and we get to see a new generation of girls in control, building each other up, instead tearing each other down. I couldn't agree more Sarah. I love young adult that promotes positive support groups and girl gangs, friendship and pushing back against the patriarchy. We need more in fiction in general.